Teifi Valley Camping Pods supply camping pods throughout the UK and Ireland. Our pods are competitively priced and we pride ourselves on ensuring that the quality of our pods is second to none. Camping pods are the next generation of camping accommodation. 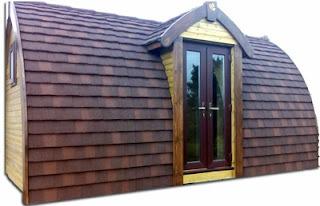 Ideal for the UK weather, pods are a comfortable, cosy and warm alternative to staying in a tent. The wood we use to manufacture the pods is sourced from sustainable woodlands. We offer high quality durable units at affordable prices, call us to day to discuss your requirements.